A cold morning greeted racers on Saturday. Thankfully it warmed up quickly as the racing got hot. Flat out, foot out! 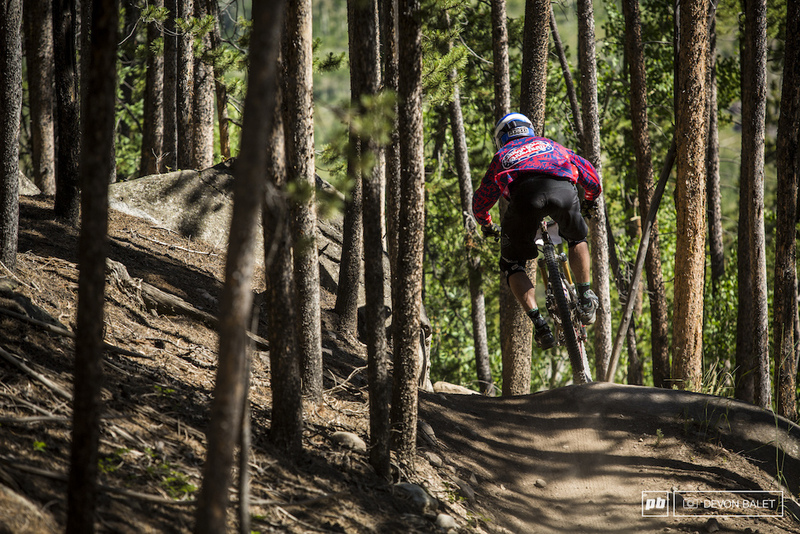 Anthony Diaz finds the tight line through a fast banked corner. Botsy Phillips getting loose and a little wild. "My whole first stage run was a little wild. I just kept trying harder, which doesn't always work out." Way to keep it together through this turn, Botsy! 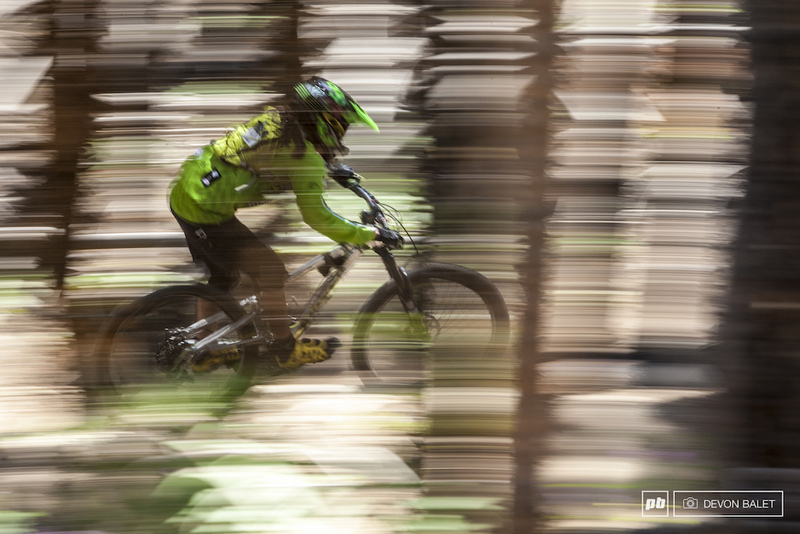 Nick Hardin blazes down the lower section of stage one. 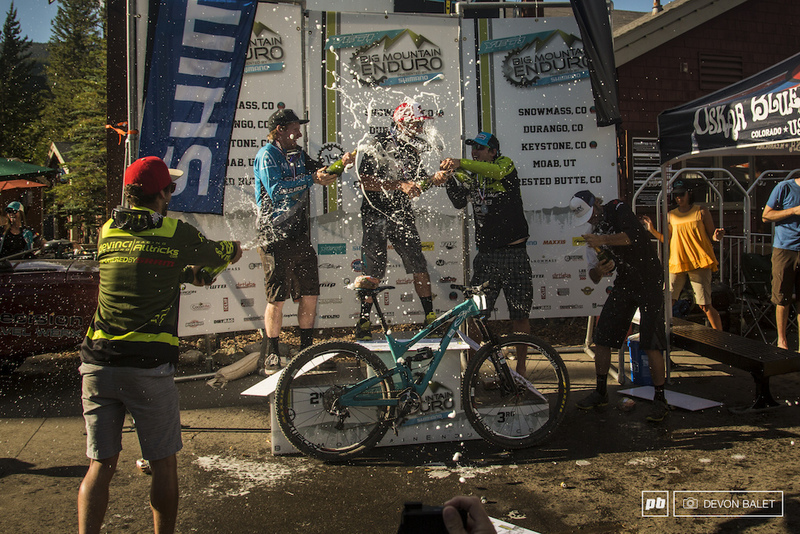 It was a race for second place in stage one as Nate Hills dominated winning by over 20 seconds! 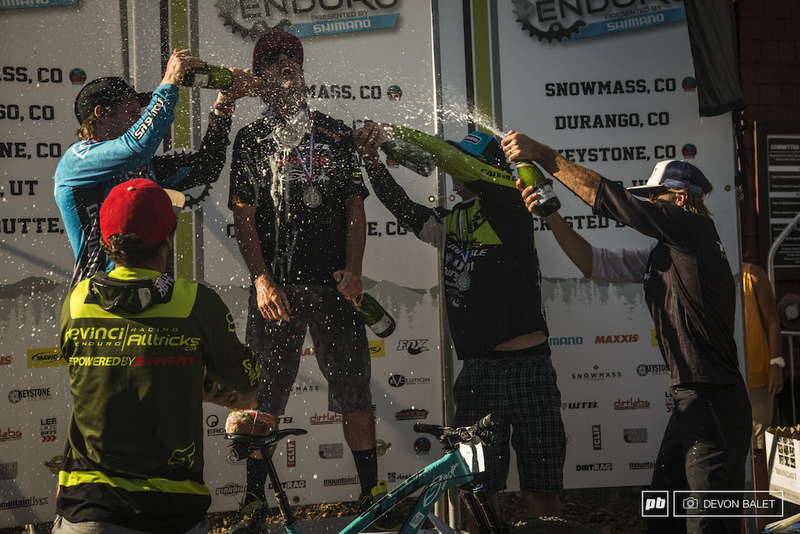 Chad Melis is no stranger to bike or beers. Chad along with the rest of the Oscar Blues crew kept the masses happy with plenty of beer to go around. Brittany has been having a great season so far. 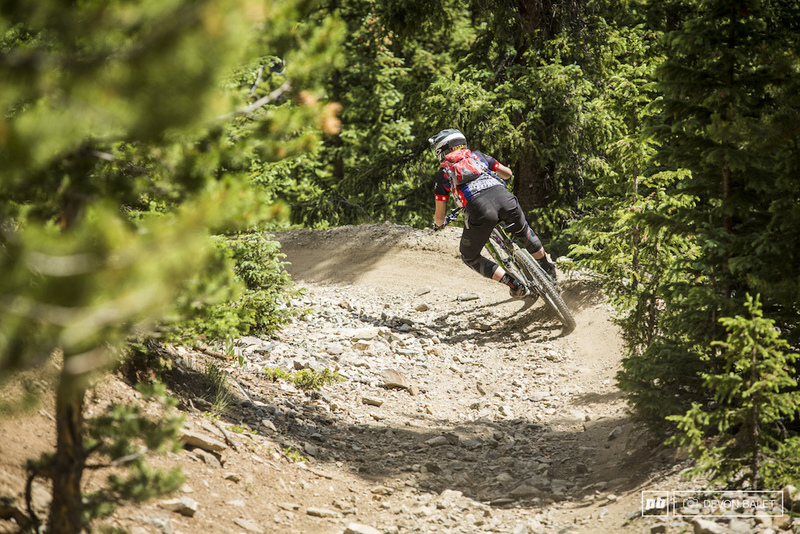 After taking the win in Snowmass, she has been hunting down Heather Irmiger ever since. 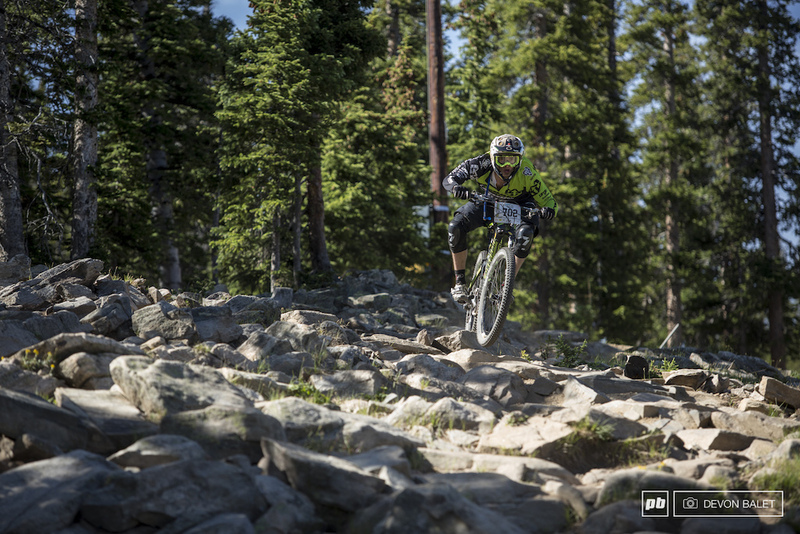 Still officially on the injured list, Krista raced again this weekend and had a blast. We all know how hard it can be not riding your bike. 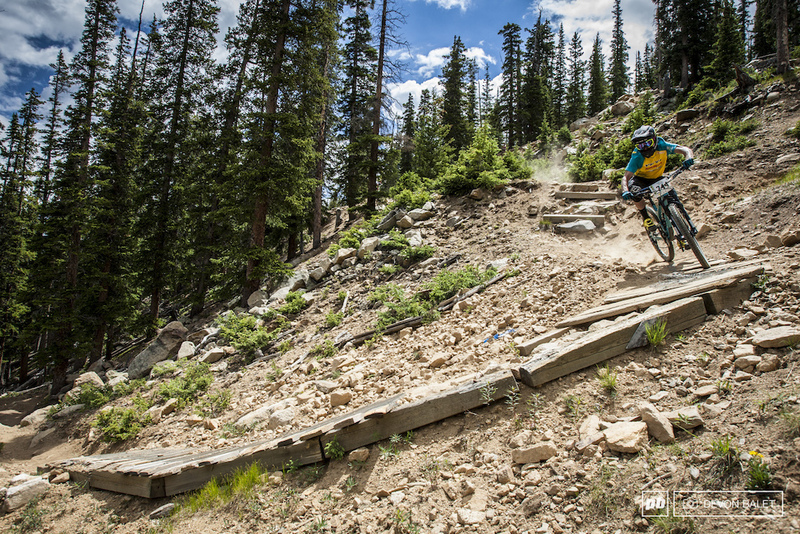 Trevor Martin of Telluride, Colorado, finds the smooth line into the start of stage two. Caitlin Dmitriew has been extremely consistent all season long and this weekend was no different. 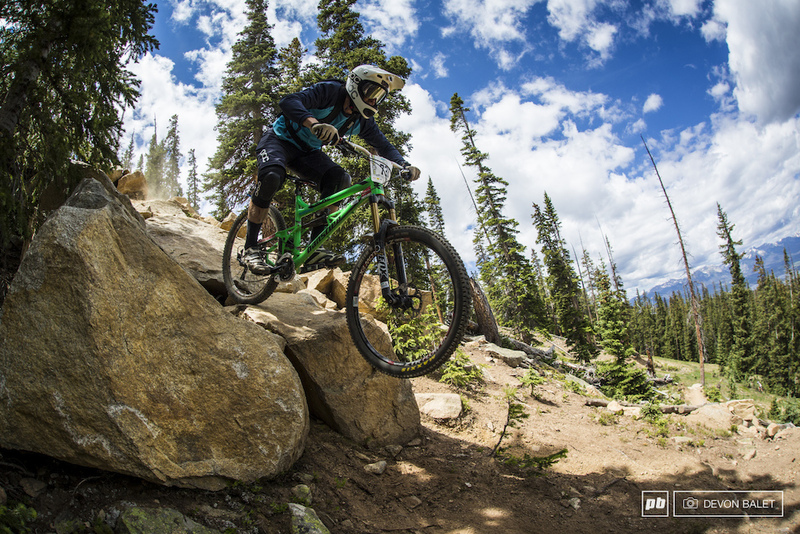 She finished on the box again here in Keystone, taking home fourth place in Pro Women. JHK had a great weekend of racing. After over an hour of racing JHK and Mason Bond finished in the same second. Tight racing! Mason Bond finding milliseconds to edge out JHK for fourth. Mike West has had a rough couple of races. On stage three he took a flat turn a little too fast. 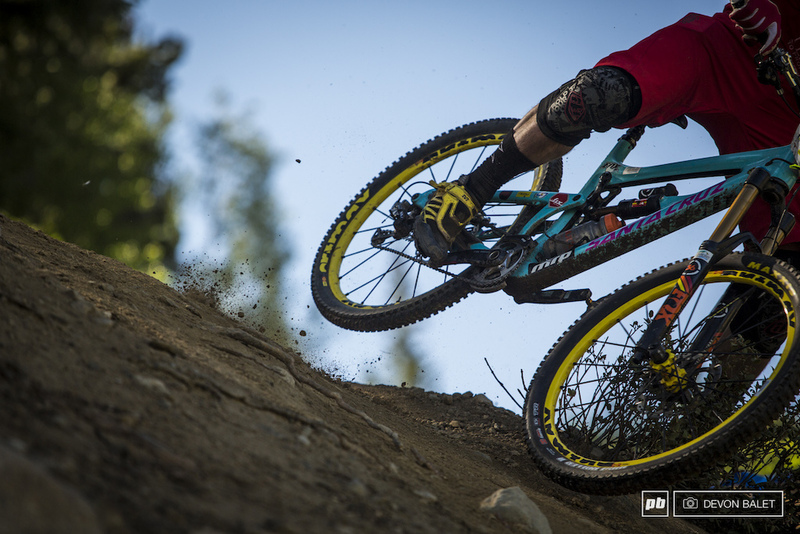 "I held on and just tried to power through but wasn't able to ride it out. 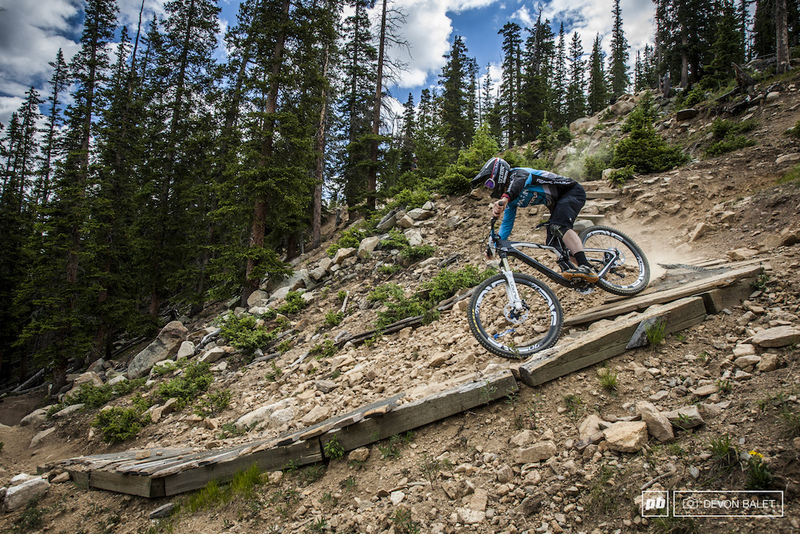 My bar skipped across the ground, snapping it at the brake lever." I'm rooting for you Mike! 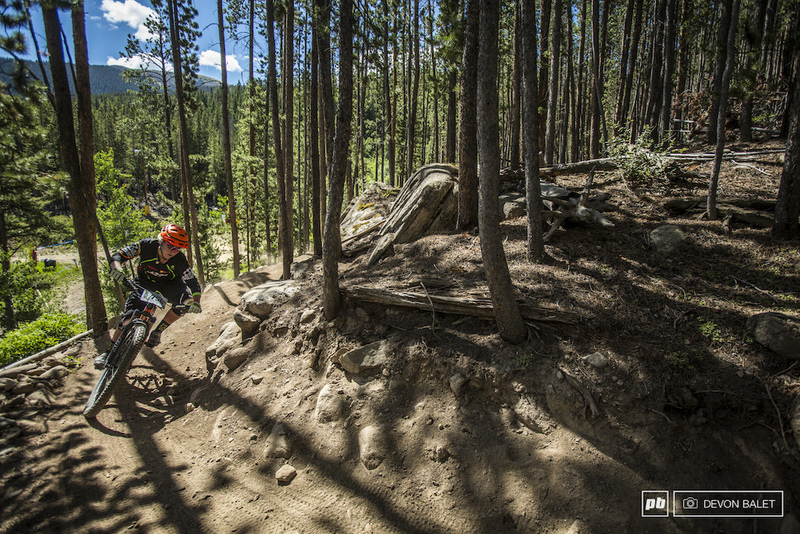 Adam Prosise of Rude Boy Racing keeping it smooth through lower Wild Thing. It has been a fun team race between Team OG and Team Rude Boy Racing. OG took the team win this week! 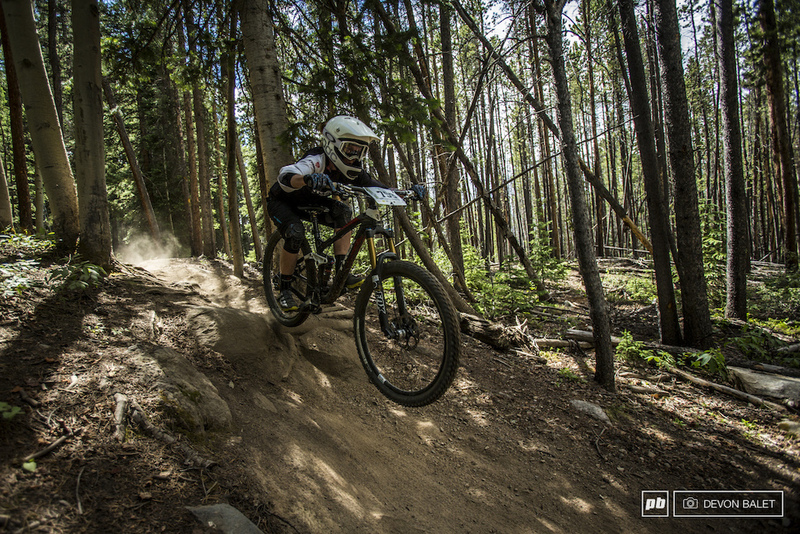 Heather Irmiger has been having some great racing lately. This weekend was no different taking home another big check and the W.
Rachel Throop made the long trip out to Keystone from California and it paid off! 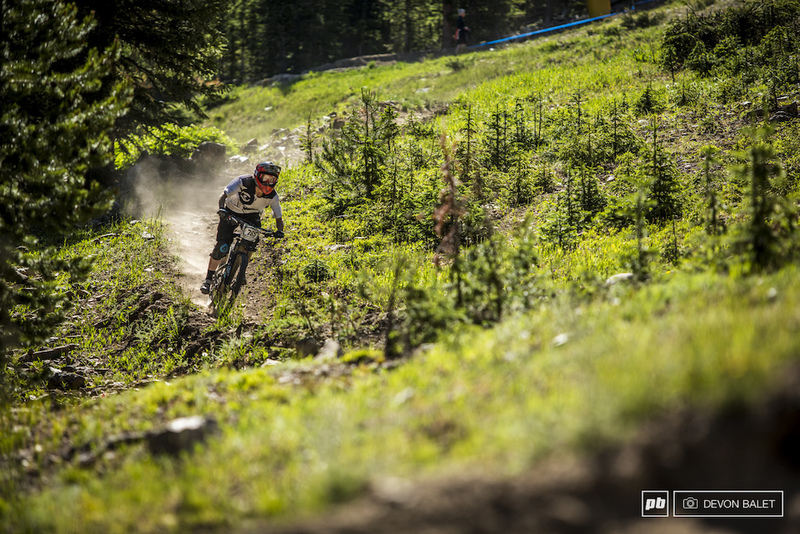 Taking home fifth place, she is continuing a Colorado/Utah tour with a few more enduro races including the EWS in Winter Park. 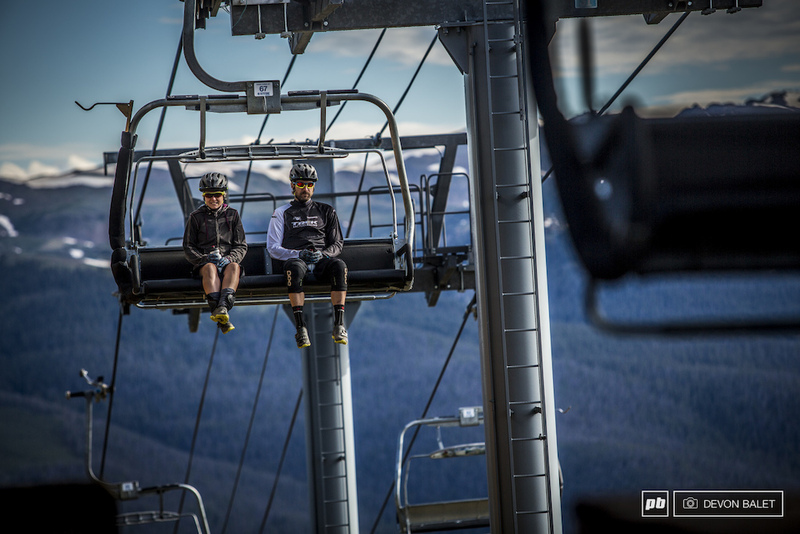 Racing in Keystone is rough! 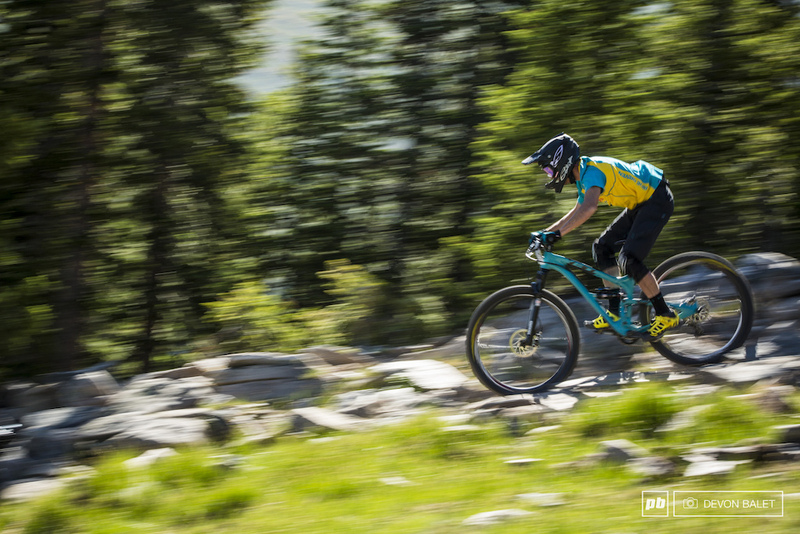 Keeping your bike and body in one piece is a feat while racing here. 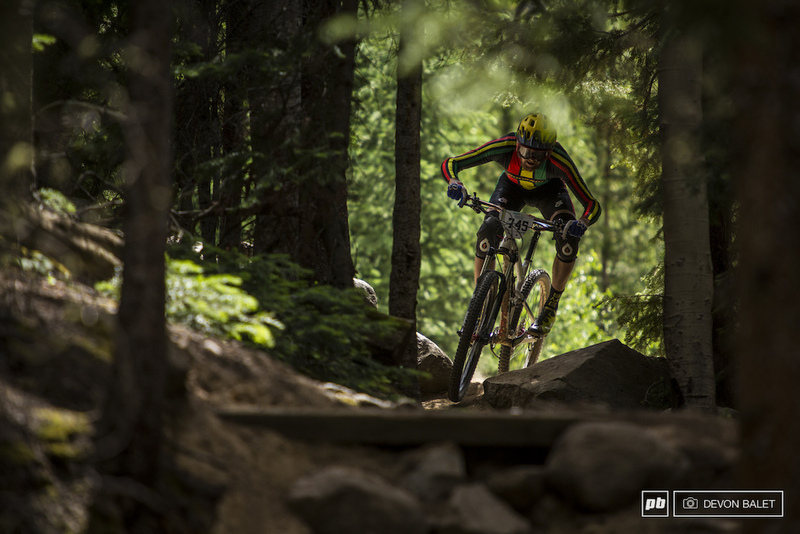 Gerry Signorelli finishes out a strong stage three, taking the stage win in the Vet 30+ category. How does it create a 57 second lead on day one? He turns rock gardens into smooth peanut butter! Marco Osborne continues to preform and get results. This weekend he finished with a strong third place finish. 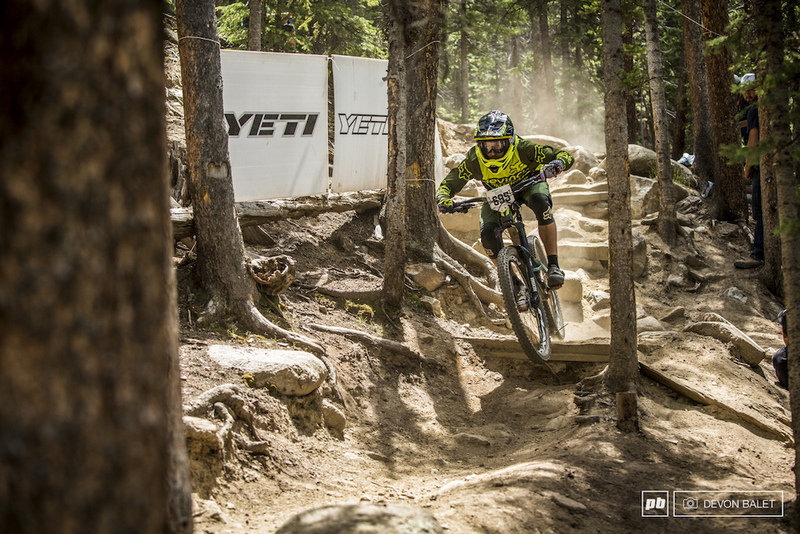 Yeti ambassador Jason Memmelaar gets loose through the tight turns on Cowboy Up of stage four. The wide open section of TNT seemed to have double lips on all of the waterbars, sending racers for a wild high speed ride. Troydon Murison of Los Angeles works his bike over one of the many lips. 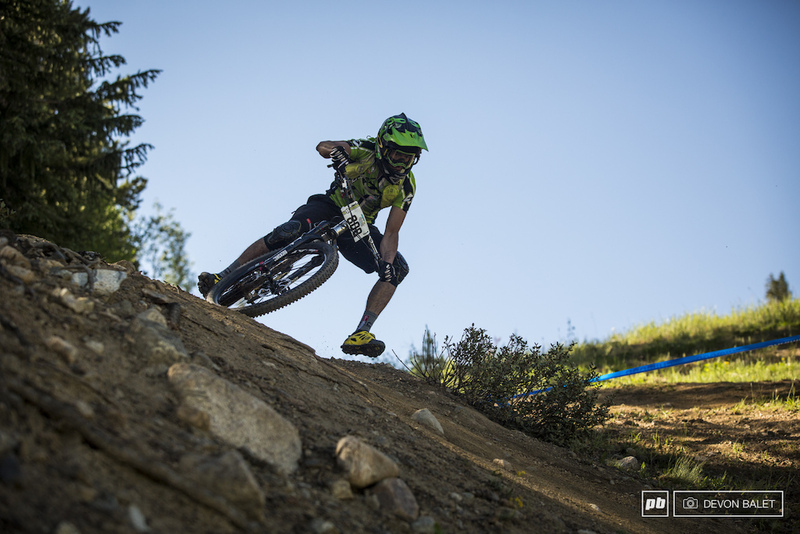 Margret Gregory had a great weekend of racing with very consistent finishes, taking home third place in Pro Women. 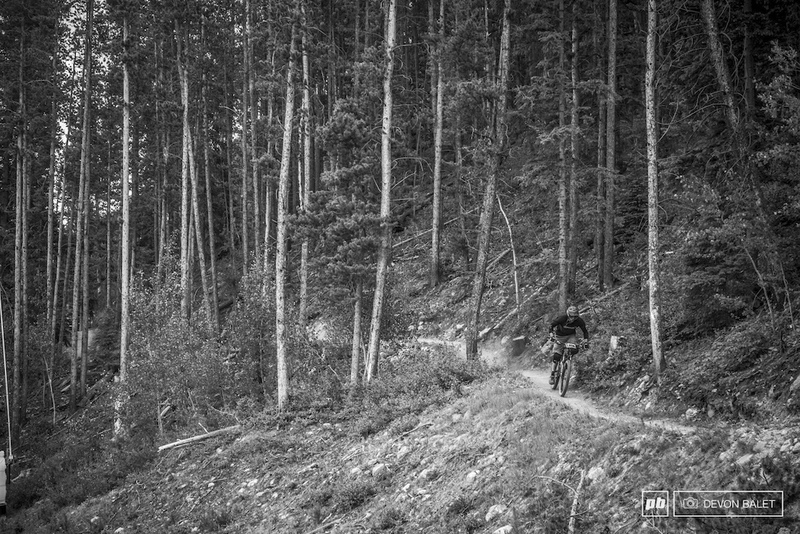 Hills certainly had home trail advantage, being he has lived in the area and ridden these trails for 10 or so years. Brian Buell showing his true downhiller skills - winning the roughest stage of the weekend by two seconds. 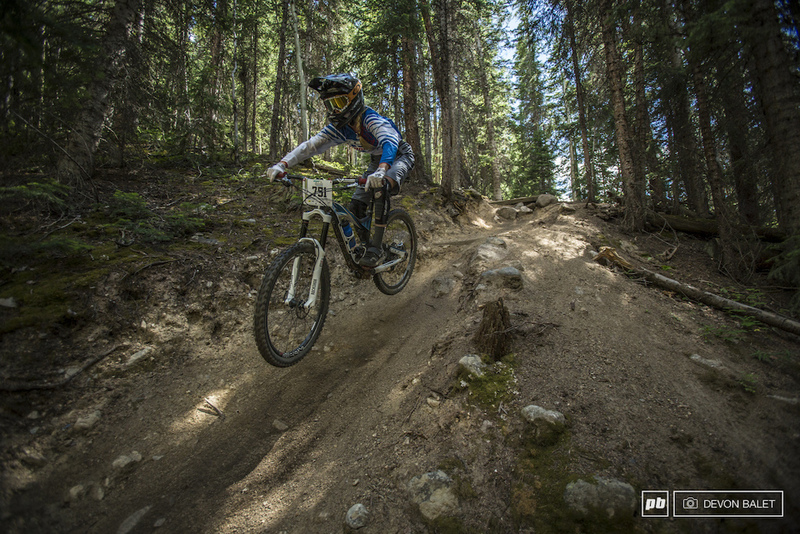 Kyle Warner had a great weekend of racing, finishing second. 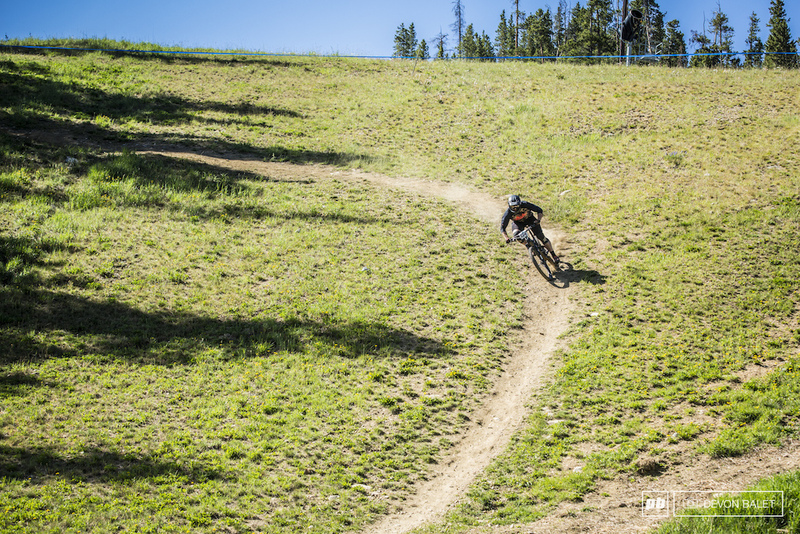 With Hills dominating the Pro Men, it was a race for second. 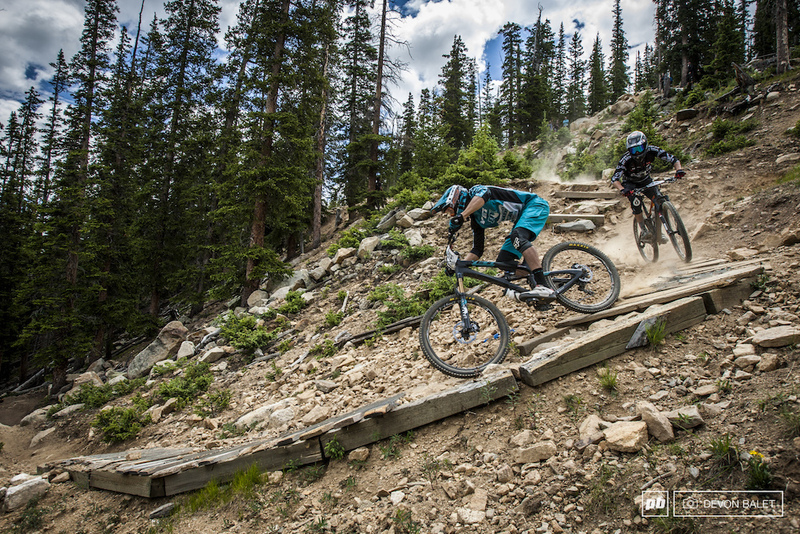 Derek Bissette breathes down Chris Heath's neck as they exit the waterfall section of High Speed Dirt. Probably the most exciting moment of the weekend was watching Derek nearly pass Chris in the waterfall. "I backed off as I didn't want to mess up Chris' run. Mine was already ruined." Great sportsmanship Derek. 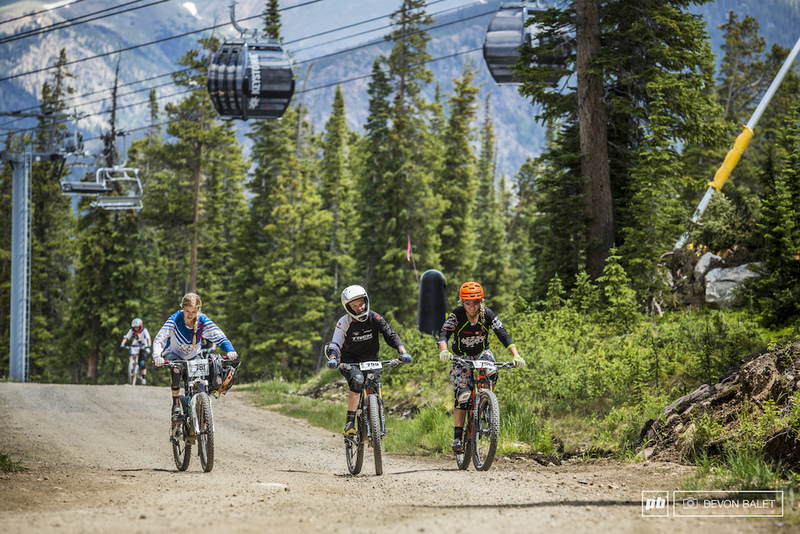 Rachel Throop, Heather Irmiger and Brittany Clawson spin out the only pedal transfer of the weekend. 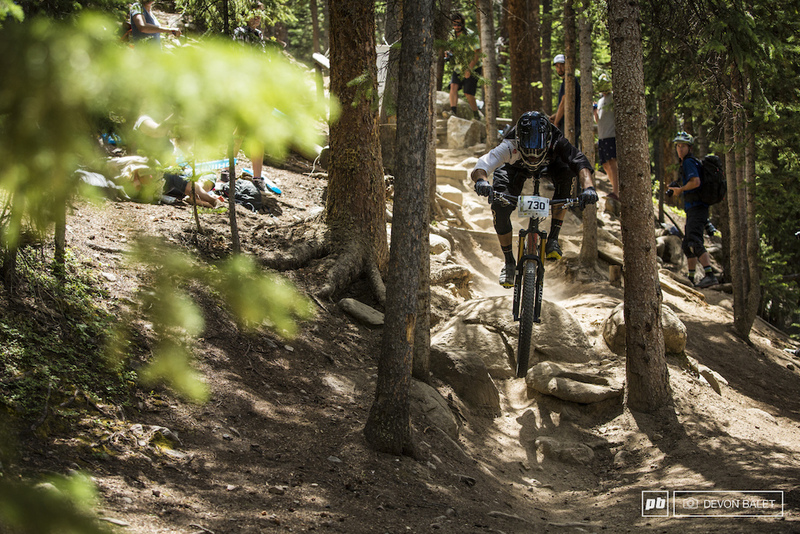 Even though there was less pedal transfers, it was still a very demanding weekend of racing in Keystone. 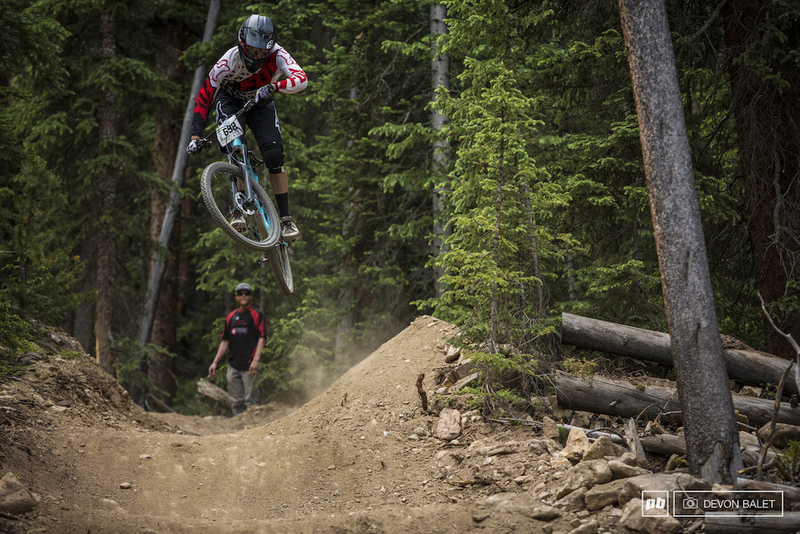 Keystone Resort park employee and local shredder Austin Hackett-Klaube blasted into the moto whoops on Mosquito Coast, tripling the start where more people pumped or doubled. So rad! Scott Countrymen doing his best high speed jump squash. The moto whoops on Mosquito Coast made for some exciting photos! 1st Heather Irmiger, 2nd Brittany Clawson, 3rd Margaret Gregory, 4th Caitlin Dmitriew, 5th Rachel Throop. 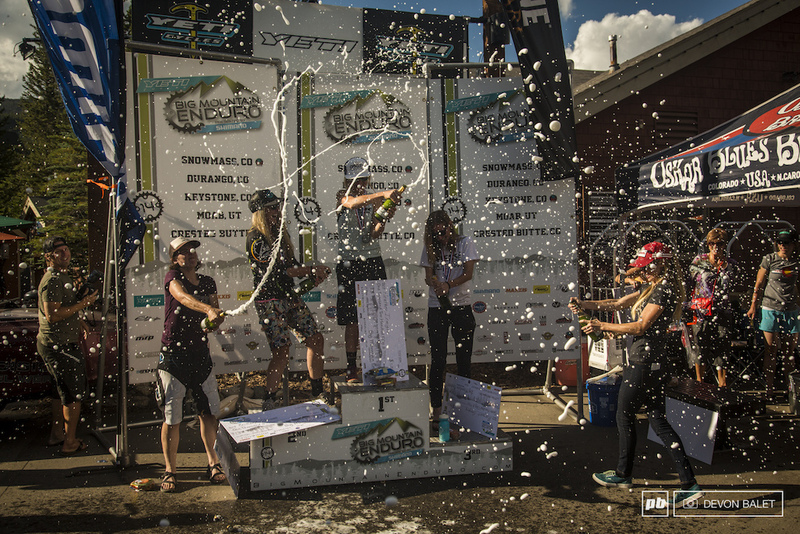 Champagne shower! Hills basking in the glory of his hometown win. All smiles after taking the win. "Great job everyone. This is my house!" Congrats Nate. See you all in a few weeks in Moab. i was tearin into grandpa's old cough medicine pretty hard after the race, when all of a sudden they called my name out in the raffle for the gift certificate for the fox suspension prize. just wanted to say thanks to the folks who put a killer event together and for the prize. Our group from Texas was glad to see you win it too! 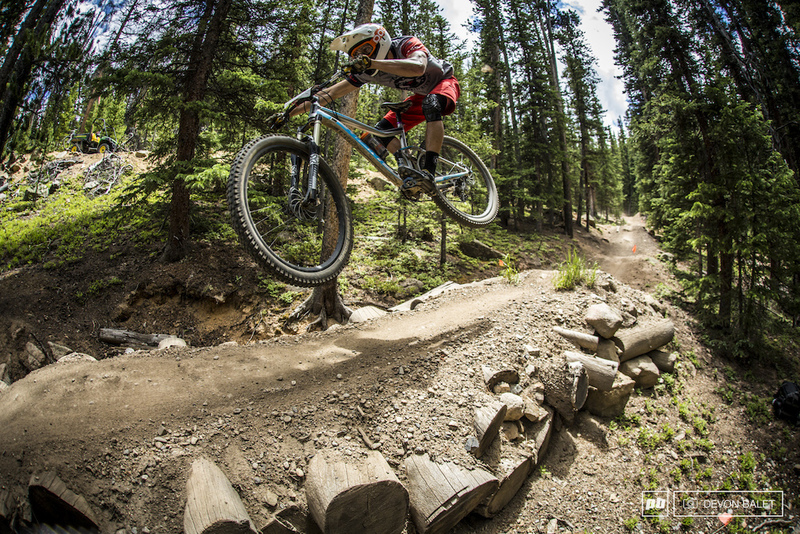 Your bike certainly could use the upgrade. 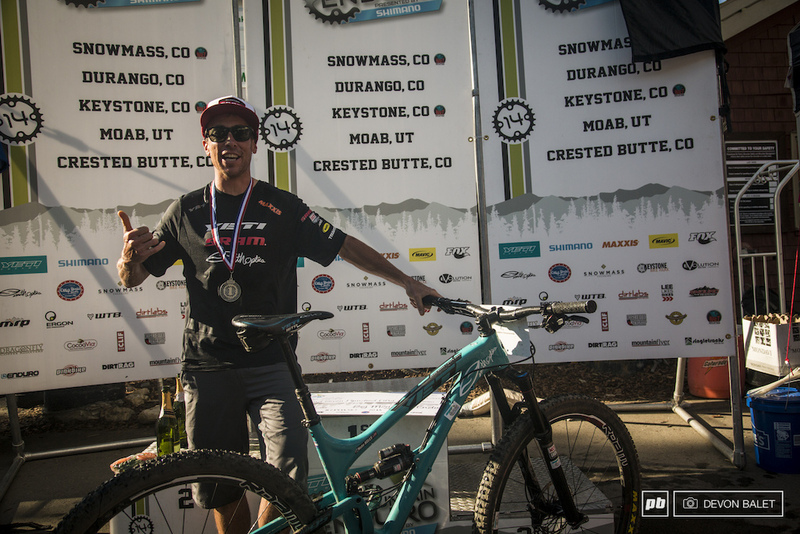 So happy to see a deserving rider win an awesome prize! "I backed off as I didn't want to mess up Chris' run. Mine was already ruined." Great sportsmanship Derek. For all of you newbies out there racing, learn from this. If you get caught, it means that your run isn't going as well as you though, so move along and let the guy/girl behind you pass, as his/her run is going better than yours. Racing etiquette. Great photos! Damn straight @alexlag! And if good sportsmanship isn't enough of a reason (it should be), there's the added bonus of getting to follow a better rider which is a good way to improve your own skills. Not only that, you'll probably get a faster time on the stage following them than you would have anyway. killer photos Devon! Brian Buell rocked the most steep, gnarly track! Team OG is going down next race. Whiskey please. BME keystone.......most excellent. Kelly Lee and Todd Smith......I got you bro's. Nice Podium action! Troydon Murrison for the Photo win! Go big T! 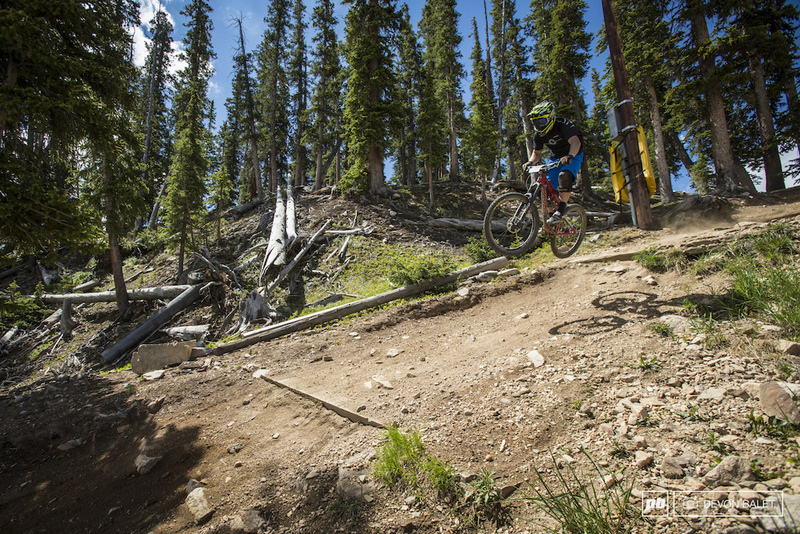 Keystone IS Mountain Biking at its finest. 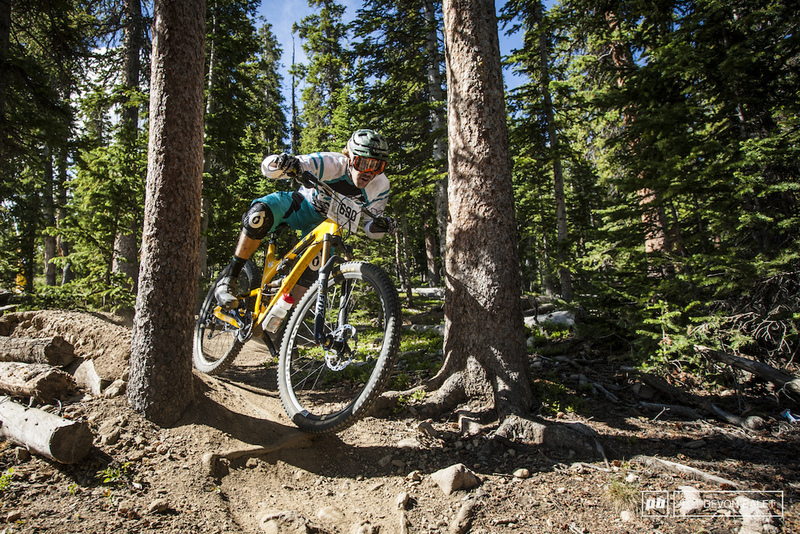 I heard big mountain enduro you should run 27" tires a little more playful but slightly better rolling resistance. Sigh! another bike to buy! 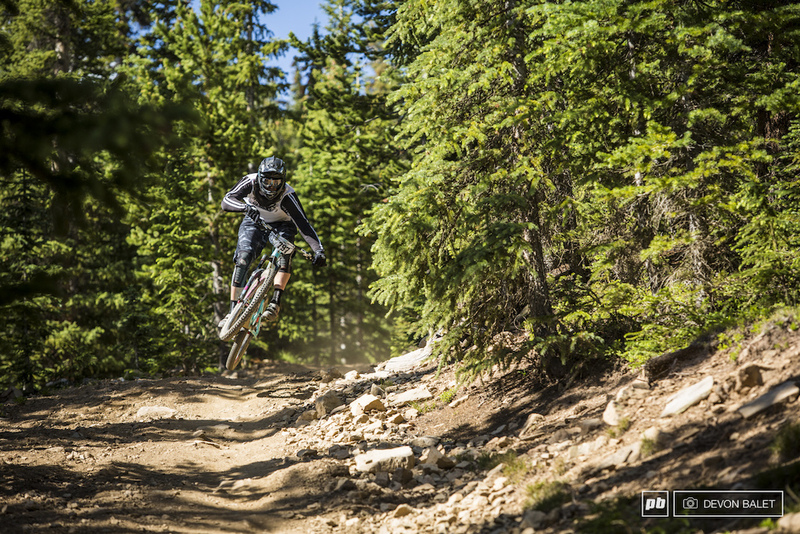 every major north american enduro race has been won on a 29er.